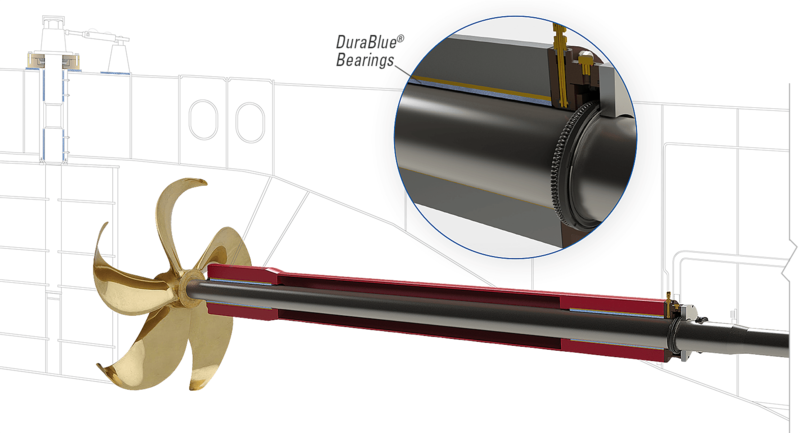 DuraBlue is a high performance stern tube bearing for blue water operation. 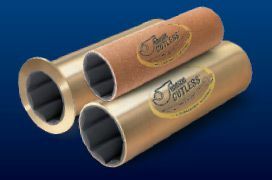 The composite resin matrix was designed to withstand the rigors of seawater operation and frictional heat generated when used in stern tube propulsion systems. DuraBlue is dimensionally stable, has a very low coefficient of expansion in extremely cold or tropical regions. DuraBlue is designed to tolerate edge loading and misalignment even with the heaviest loads. It is chemical and corrosion resistant and will not cause corrosion to housing. Benefits of DuraBlue stern tube bearing. 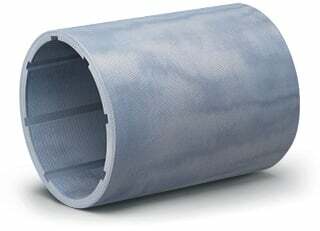 The DuraBlue composite matrix was engineered and tested to provide superior performance in blue water stern tube applications. It has received full ABS type approval for use in propulsion bearings with length to diameter ratios L/d as low as 2:1. DuraBlue bearings meet the requirements for operation in propulsion systems by all other class societies. DuraBlue stands ahead of the competition. Unlike unstable thermoplastic polyurethane elastomers, DuraBlue has an engineered composite matrix that will not suffer from hysteresis failure or swelling from hydrolysis. 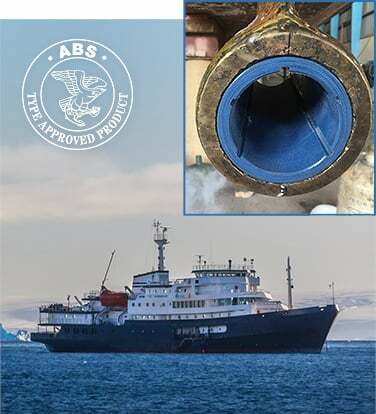 DuraBlue has a much lower coefficient of thermal expansion than polyurethane elastomers and will never loosen or become dislodged in the stern tube. Duramax Marine maintains a commitment to the environment. Duramax Marine offers the most complete range of seawater-lubricated propulsion system bearings in the industry. Our bearing systems are used on more commercial and navy vessels than any other brand. 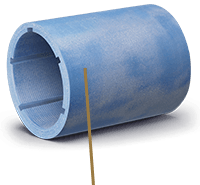 DuraBlue is is a cost-effective stern tube bearing solution for blue water use. DuraBlue Bearing is dimensionally stable and abrasion resistant. Swelling in sea water is virtually eliminated with our proprietary composite resin matrix. DuraBlue thermoset polymer matrix is reinforced with synthetic fibers, and contain no organic fibers that can swell in sea water. It has an absorption rate ≤0.09%. DuraBlue meets the Duramax Marine highest level of industry standards. DuraBlue stern tube bearings have been tested in Duramax in-house lab and meet the highest level of marine industry standards. They are manufactured to meet ISO 9001 standards and are approved for commercial blue water marine use by ABS. 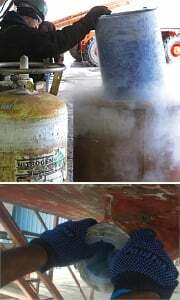 An independent laboratory static compression test on the DuraBlue composite material showed it exceeded 51,000 PSI. 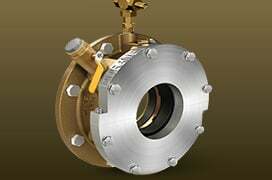 DuraBlue is ideal for conversion of oil to water-lubricated propulsion systems. Duramax Marine Engineers can design a complete conversion of your oil lubricated propulsion system to a water-lubricated system. Seawater lubrication - The ideal lubricant. Seawater is the ideal lubricant for use in modern propulsion systems. It offers the obvious advantages of being nonpolluting and environmentally friendly. It is plentiful and a cost effective and superior alternative to oil lubricated propulsion systems. Our engineering team can design a water-lubricated propulsion system that eliminates oil pollution and keeps our oceans clean. Ultra low friction and wear. Wear and friction are more important considerations with water-lubricated bearings than with oil lubricated bearings. This is because of the very low viscosity of water and the resulting thin film thickness. DuraBlue is designed to operate hydrodynamically and support water film development at very low shaft speeds. The material matrix is also extremely resistant to wear by third body abrasion. 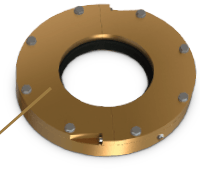 Special bearings for naval application that incorporate partial arc segmental bearings mounted in split bronze housings are also available. All bearings can be manufactured as full or split bearings. 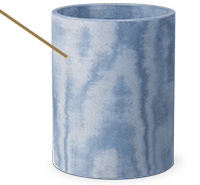 Staves can be machined using sheet stock and is an easy and more economical solution when removing worn staves and keeper strips for replacing staves in the bronze carrier. DuraBlue Bearings, custom fit to match your application. DuraBlue Bearings can be easily machined. 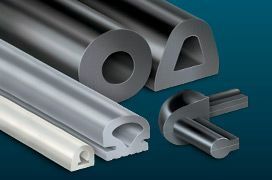 As a general guide DuraBlue Bearing is machinable using standard conventional machine shop techniques. Methods used for brass, aluminum or lignum vitae will apply for DuraBlue. 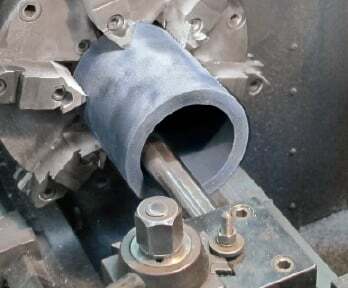 It is preferable to use tungsten carbide turning tools with cutting speeds of 5.5 m/s (19ft/s). 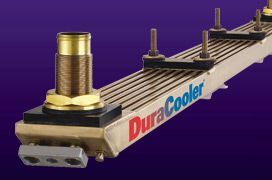 Must be machined dry, without use of coolant. DuraBlue Bearings are available in any size. 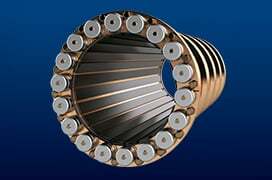 DuraBlue Bearings are available for any shaft diameter. The bearings can be supplied from our factory in unfinished tubes or we can supply fully machined ready for service. 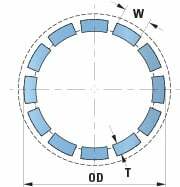 Fitting methods for DuraBlue Bearings. DuraBlue® is a registered trademark of Duramax Marine® LLC. Duramax products complete your water-lubricated propulsion and steering systems. 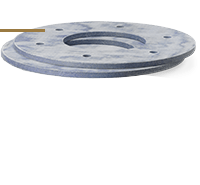 DuraBlue is also designed to be used as a rudder bushing, thrust washer and wear pad. Duramax Marine also manufactures DryMax Shaft Seal. 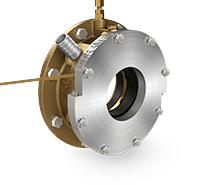 It is a robust, long-life shaft seal designed for optimal sealing performance. DryMax Rudder Sealing System also available. The Duramax Edge: Unmatched Quality. Every person at Duramax Marine is focused on delivering the highest, most consistent quality of product and technical support in the marine industry. Quality that has set performance records unmatched by any other products in the industry around the world. Duramax Marine has a long history of delivering engineered product solutions for maintenance problems, earning the trust of marine professionals around the world. Our global technical support team and distributor network of product experts are always available for customers wherever they are needed.